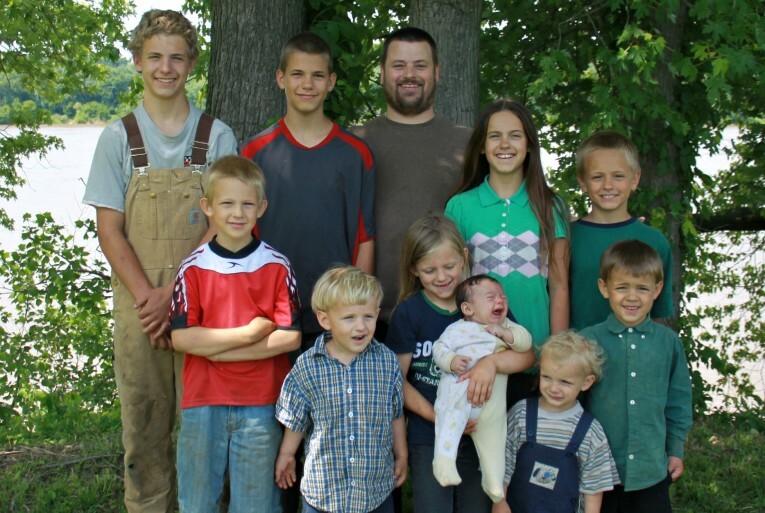 BRECKENRIDGE COUNTY, Ky. — Kentucky police have seized the ten children of a homeschooling family who lives what they call a “back-to-basics” off-the-grid life because of their simplistic living arrangement and because the children are not enrolled in school. Joe and Nicole Naugler live in a small 280 square foot cabin on 26 acres of land, where they raise animals and grow much of their own food. Their home is generator-powered, and they homeschool their children as part of the “unschooling” movement where children learn at their own pace. According to reports, as Mr. Naugler was out with eight of the children on Wednesday, members of the Breckenridge County Sheriff’s Department arrived on the property to investigate due to an anonymous complaint. They allowed Mrs. Naugler to leave with the two children. However, after Naugler left, she was soon pulled over by police who sought to then take the two children in the car. As Naugler—who is pregnant with the couple’s 11th child—disputed the seizure and resisted it, she was arrested for disorderly conduct. When police made contact with Mr. Naugler, they ordered him to hand over the remaining children under threat of felony charges. He did so, and the children were separated and placed into homes in four different area counties. After Mrs. Naugler was released from jail, she posted online the paperwork provided by the Cabinet for Health and Family Services, the Kentucky version of Child Protective Services, which stated that the children had been taken because of the living arrangement and because they are homeschooled. “Children are not living in appropriate conditions and are not enrolled in school or registered with the school board,” an affidavit reads. A separate document alleged that the family was living in a “tent” without running water or septic system and that electricity was powered by a generator. It further complained of finding nails and glass on the ground, as well as piles of the family’s garbage on the property. She said that she has contacted the Homeschool Legal Defense Association for assistance. A hearing is set for Monday.